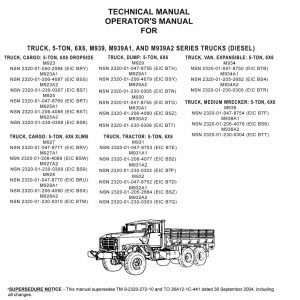 For sale is reprint of ARMY manuals TM 9-2320-361-24-1 and TM 9-2320-361-24-2 for 2-1/2 ton Series Diesel Trucks. Manuals are dated August 2006. 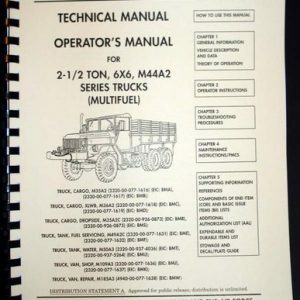 Manuals are over 1100 pages long, 3″ thick and 6 Lbs in weight each. 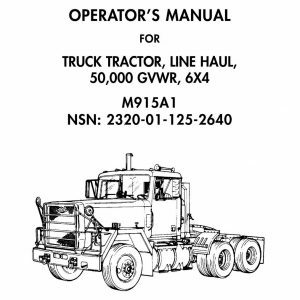 second manual includes 4 11×17″ foldouts of electrical and break system diagrams. 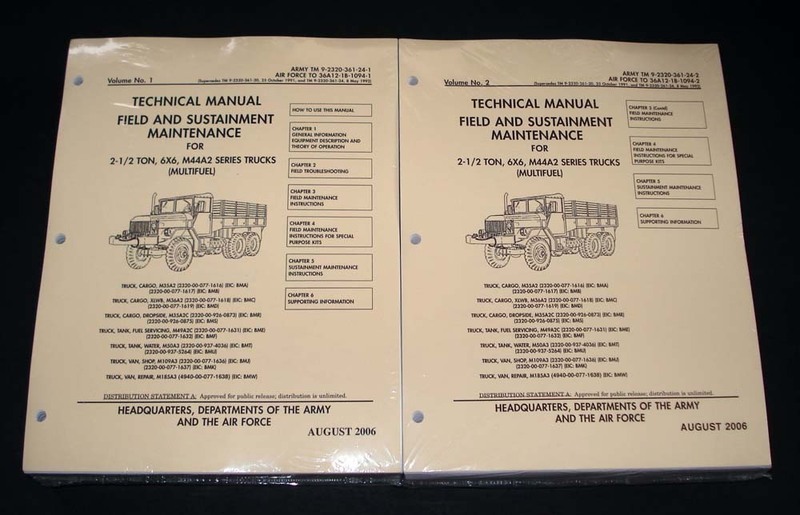 Manuals are Volume 1 and 2 of Field and Sustainment Maintenance. A lot of these trucks are available on surplus market. 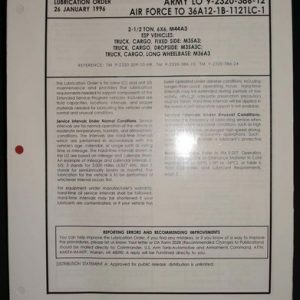 These are a real PAPER Manuals, not a PDF on home burned CD-ROM. Manuals will be shipped by Media Mail.